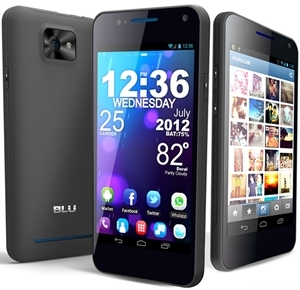 Blu Products latest Android based Smartphone brilliant Super AMOLED plus Vivo 4.3. With Super AMOLED Plus Display of 4.3 inches of screen, enriched with Android OS ice cream Sandwich 4.0. Blu Products say About Vivo 4.3 that it is the world first Dual Sim Smartphone Featuring A Super AMOLED Plus Technology and Dual Core CPU, 1 GHz Dual core Processor along with 4GB of Rom and 8 Megapixel camera that captures Vibrant images plus an ability to present 720p video. Price of Vivo 4.3 Smartphone is $220 which is totally amazing after with all these capabilities that it possesses.